Socialization Worries? 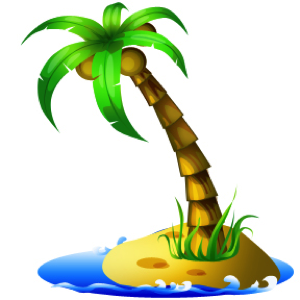 Cyber Students Don’t Live On An Island! The opinion is out there. Cyber school = no socialization. As a cyber school, we’ve heard the arguments and continue to believe that not everyone sees the whole picture. 21CCCS high school teacher, Mr. Bonnette, feels strongly that in spite of common beliefs that cyber schools limit socialization opportunities for students, we have a way of helping to engage our students through several mediums. Read below to learn more about this topic of interest, and what Mr. Bonnette has to say about it. If you are a prospective parent and this is your first investigation into the possibility of sending your child to a virtual school, it is understandable you may have some concerns about socialization in a cyber world. Let’s face it; you are making a major decision, which is going to affect your child’s education, and life in general. So, understanding how we in the cyber community strive to ensure students have ample socialization opportunities is probably important to you. There is a stigma existing in our world that cyber education isolates or eliminates the social opportunities children need in order to grow and mature into successful citizens. You may have had this thought brewing at the back of your own mind. As a parent and child it is important to understand that 21st Century Cyber Charter School strives to pay particular attention to this facet of the cyber school experience. We understand social interaction is important and place a heavy emphasis on providing each student, regardless of geographical location, with both virtual and face-to-face opportunities to socialize with peers and staff. Greater collaboration amongst students across grade levels, leading to accountability and responsibility for older students. Cross-curricular communication outside a grade level cohort. The break down of social and ethnic barriers. Interaction with a broad range of cultures, ideas, and perspectives (2013). In addition to the benefits of virtual socialization, 21st Century Cyber Charter School offers a host of activities in which students and parents may collaborate and socialize face-to-face. We host field trips each month, which are geared toward all grade levels and afford students the opportunity to meet with peers in an educational and social climate. Each week we host a community outreach program. These events welcome teachers and staff to various locations throughout Pennsylvania so that students may experience live tutoring and mentorship. We offer a number of clubs, which also provide students positive interactions with their peers. Finally, we encourage students to come into our main office location to work with their teachers during the school year. We’re always here for our students! The possibilities for additional activities and socialization opportunities continue to grow. We are always learning, adapting, and changing. We welcome input as well! Students here have a voice and often help us to discover new trips, events, and outreach possibilities. We are a school of collaboration and exploration. We invite you to give us a try! Hopefully this short segment has alleviated some of your concerns about socialization in a virtual school setting. By considering cyber school you are making a big decision, so be aware that 21st Century Cyber Charter School will do everything in its power to make your child’s education everything he/she wants it to be. Watson, J., & Gemin, B. (2013). Socialization in online programs. North American Council for Online Learning. NACOL, n.d. Web. 9 Jan 2013. Site available at: http://www.google.com/url?sa=t&rct=j&q=&esrc=s&source=web&cd=7&cad=rja&ved=0CG8QFjAG&url=http://www.inacol.org/research/promisingpractices/NACOL_PP_Socialization.pdf&ei=l7XtUPTeI8a70AHs1YHYDw&usg=AFQjCNHti2mBpBIi3UXFF_7bPAs5CT-rkA&sig2=yhE-M3CWemMvMP5gKcS-LQ.